Recently, I noticed that signs have gone up on space #200 in Brentwood Gardens that used to house Daily Grill at 11677 San Vicente Blvd. in Brentwood announcing that a brand new entity, Bottlefish appears to be moving in. I couldn’t track down much on Bottlefish until I checked the ABC license application. 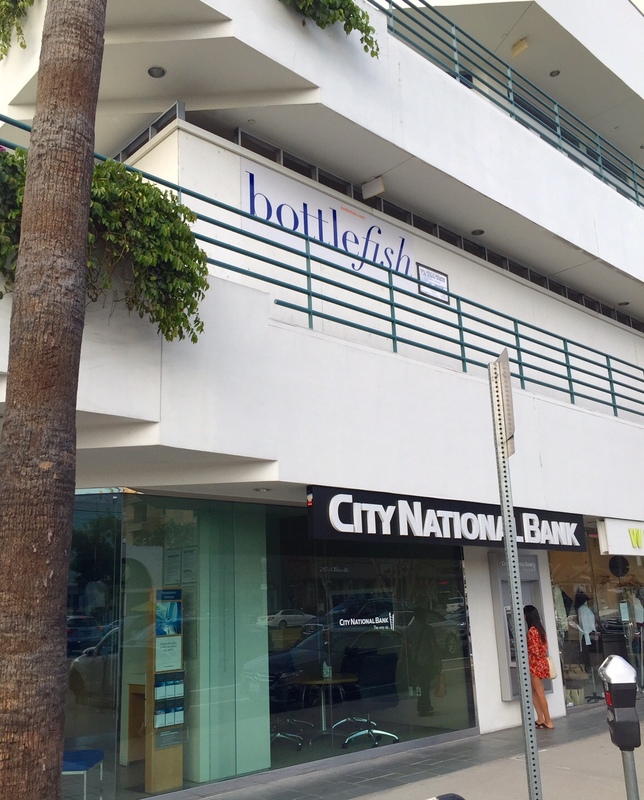 It indicates that the familiar names behind Bottlefish are Richard Rosenfield and Larry Flax, the founders of California Pizza Kitchen (they have since sold CPK a number of years back). I’m not sure what the concept here will be, but I’m going out on a limb and guessing that fish will feature heavily, and possibly bottles too. No word on an opening date, and construction is only just beginning, but I’ll keep watching. This entry was posted in News and tagged Bottlefish, Brentwood, Brentwood Gardens, California Pizza Kitchen, Daily Grill by toddrickallen. Bookmark the permalink.